Ready, set... draw! 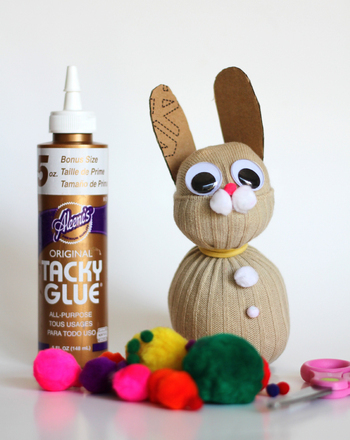 Make your bunny come to life as quick as you can, with this fun race-to-color. 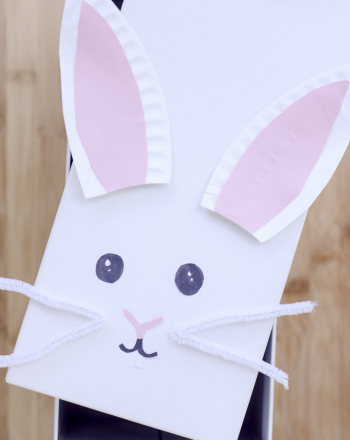 Help your child cut out bunny tracing and help them construct the dice. Then get ready to draw. For extra fun, print out more copies of page one and add more players. Why wait for the Easter bunny to arrive when your child can become a bunny herself? 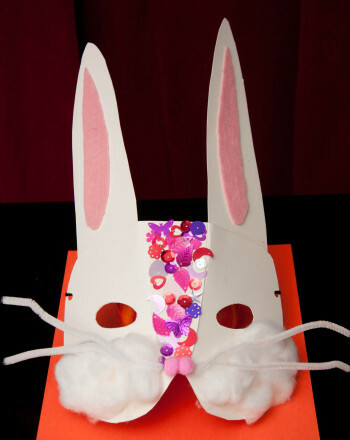 Creating a bunny mask is the perfect way to celebrate Easter. 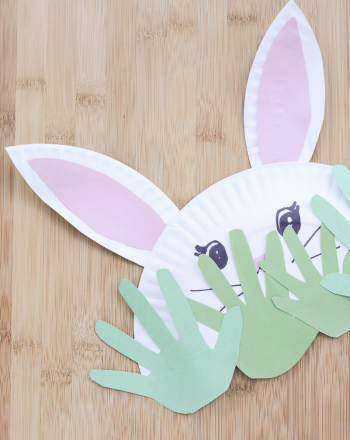 This uniquely cute Easter bunny craft will give your child practice tracing his handprint while repurposing a paper plate as the base for his bunny. 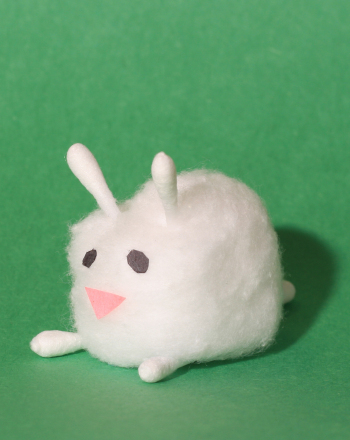 Have your child assemble a tiny bunny that she can carry with her and pull out whenever she needs a friend. 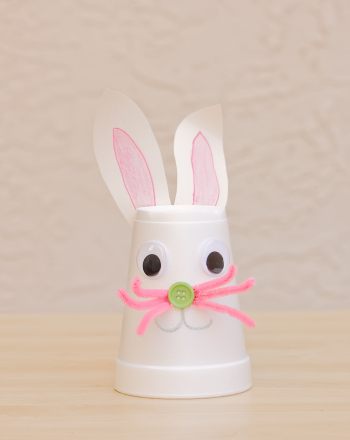 Try a little eco-friendly crafting this Easter: turn lonely, misfit socks into bunny sculptures in this recycled arts and crafts activity. This Easter Bunny coloring page features the rabbit himself, poking out from behind an egg. 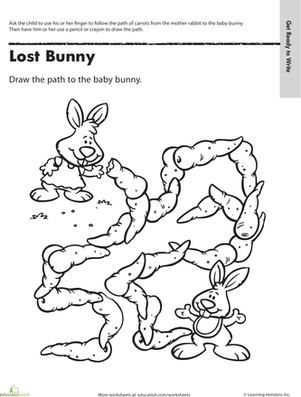 Use this Easter Bunny coloring page to get into the holiday spirit. 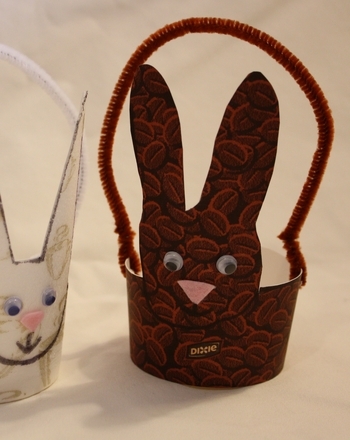 Transform a paper coffee cup into an adorable Easter bunny gift basket in this second grade arts and crafts activity.